Christina is a Social Media expert, a fitness junkie, a nerd and a scientist at heart! She holds an honors degree from Athens University of Economics and Business in Business Administration. She completed her internship at the Eugenides Foundation, a place that created her love for understanding and promoting science in a way that is accessible to all. 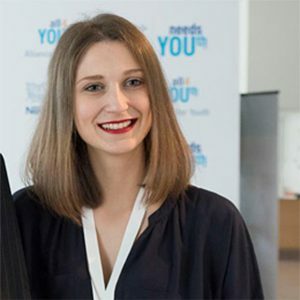 She works at Nestlé Hellas since 2015 in the digital marketing department as a community manager and digital trainings operator. She is a consultant in SciCo, currently responsible for Social Media at the Mind the Lab project.